It’s easy to claim you’re the best in the business, but Mortgage Ezy now have something to prove it. 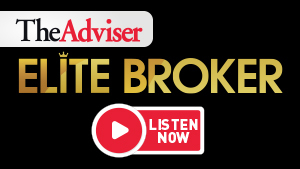 On the back of their Best Non-Bank Lender award win at the Australian Lending Awards, CEO Peter James talks to The Adviser about what sets them apart. Why do you think you won the Non-Bank Lender of the Year award? What sets you apart? We were told we won because we had heart, we had passion and the more forthright in the audience said unlike some, we still have a pulse. I still stand by what I stated in accepting the award that first and foremost this was a win for our whole industry, with both consumers and brokers wanting a real alternative to the banks. Specifically, we won because, “We are nimble, we do things differently and we will continue to thrive by giving the banks plenty of curry”. Last year, we increased our broker numbers by more than 60 per cent and doubled our volumes. Clearly brokers and their customers are voting with their feet! What is Mortgage Ezy’s key focus heading into 2016? What do you want to achieve? We intend to continue our shock and awe campaigns with cutting-edge products, sharp rates and market-leading commissions. We want to keep focusing on upholding the values of non-bank lending by offering brokers solutions that are real alternatives to mainstream lending. We surprised the market last year when we launched our Economizer range, initially at 3.99 per cent – subsequently lowered to 3.79 per cent (with a comparison rate of just 3.88 per cent), well under a basic home loan rate with all the bells and whistles of a fully-featured loan. This attracted brokers in droves. It appears they just needed a reason to part ways with the banks which we were more than happy to provide. We are currently enhancing the features of our loans to include the Visa card with no fees and interest free up to 40 days – even for cash. This next year, we will be broadening the offering available to our loyal brokers and those new ones attracted to us. All of our prime loans now come with a full 100 per cent offset and banking functionality. We are developing flexible criteria to cater for all sections of the community. For example, we’re extending loan terms where appropriate so that young buyers can increase their loan affordability especially for Sydney and Melbourne where appropriate. In addition, we have “non-genuine savings” options to 95 per cent and no credit scoring that will also cater for those with some defaults in the past. Despite various obstacles and challenges over the past decade, the non-banks have survived and thrived – why do you think they have been so resilient? Non-banks are generally run by entrepreneurial people driven by the fact that they are the last bastion of meaningful competition for the banks. With the big four continually seeking to increase margins at the same time as the industry is moving to commoditise loans, non-banks have benefited from the fact that more and more consumers are wanting so much more than a home loan – they want functionality and meaningful, unbiased advice and are seeking out brokers who can tailor solutions to their individual needs. Non-banks are the best-equipped to help brokers do this. What has Mortgage Ezy done to stay in the game and continue to appeal to brokers and consumers? We take huge pride in doing things our way. We’re often the underdog, fighting for business and broker rights. We continue to hold rates firm, believing it’s our responsibility to pressure banks to keep margins low. We’re certainly a non-bank advocate and we feel it's essential to keep the market competitive. We continue to uphold the values of non-bank lending by offering brokers solutions for clients that are genuine alternatives to mainstream banking. Mortgage Ezy stays in the game and is able to take it up to the big boys as our brokers love dealing with us because we do things differently, respect our relationship with them as a true business partner and we give them something unique to sell. What initiatives have you undertaken to attract more brokers? Frankly we are lucky to be in the position that brokers are attracted to the brand rather than us having to promote ourselves to secure an increased share of the pie. Mortgage Ezy does not want to be on every street corner so to speak. We want our brokers to have something their competitors don’t so we only seek out aggregators and licensees who are genuinely compatible business partners to which we can add value. Last year, our broker accreditations leapt by 63 per cent. This year, we will surpass that and the figure is even more staggering when you consider that we unfortunately can only accredit a fraction of those seeking to do business with us because of the fact that we may not be dealing with their aggregator or they can't meet our criteria. What do you think is in store for the mortgage market over the coming 12 months? In the past 12 months, there have been more rate increases, funder policy changes, APRA investment limitations, further regulations, industry consolidation and price squeezing than we can remember at any time over the past 20 years. In 2016, we are sure to see continued volatility and out-of-cycle rate increases particularly for investors and interest-only loans. The bond market has already blown out by more than 50 per cent – spreads and rates will have to rise accordingly unless the RBA moves down. Obviously the increased capital requirements will mean that the banks will be looking to re-price in any case. Peter, it’s been said you’re a “vocal advocate of broker rights” – what have you been advocating and why? And why is this so important? There are many who believe that relying on brokers for the majority of loans is dangerous and are seeking to wind back their influence. Comments claiming branch loans have lower arrears and are of better quality are simply untrue. There has been a lot of talk around reducing commissions and this will only serve to erode the excellent service that is provided to the consumer by brokers. We only go to market through the broker, which avoids channel conflict altogether. The reason we do this is we believe there is no better way for a customer to have their needs assessed and catered for than through an independent, highly-skilled professional – not an employee flogging a bank product. What can brokers gain from partnering with Mortgage Ezy? Genuine partnership, not just lip service – evidenced by everything from our focus on meaningful deliverables such as being able to talk directly to a loan's assessor, to our proprietary IT systems providing flexible reporting and tools, to paying our market-leading commission on the day of settlement or no claw back options. These are all examples of how we've responded to broker feedback. Mortgage Ezy says they “push boundaries to make the market more competitive” – what are some examples of this? Most organisations either pay high commissions or deliver low rates. We do both! Further we seek to provide a premium product without fees to allow a consumer the best of both worlds. These are just two of the boundaries of the lending norms that we push to make it more competitive.